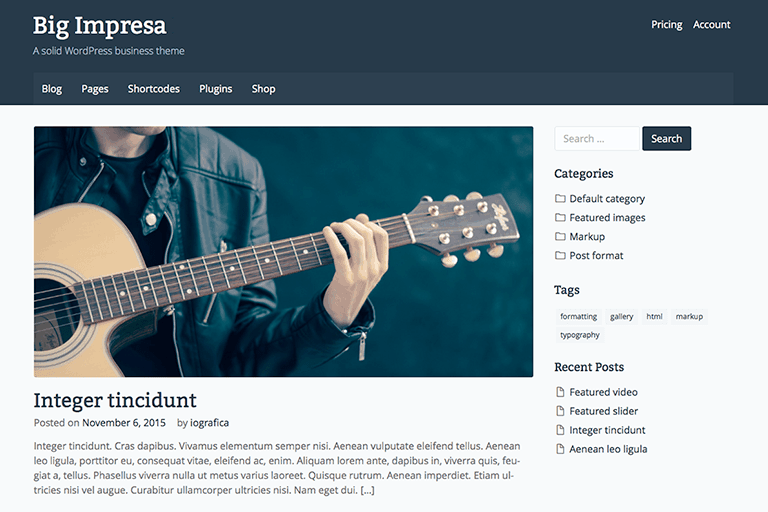 Big Impresa is a business WordPress theme with a professional and responsive interface. Big impresa is WooCommerce and Easy Digital Downloads compatible, multilingual ready and SEO optimized. With Big Impresa Premium you will have access to tons of new options so you can change your theme appearance and functionalities without writing custom code.